Photo of the week. 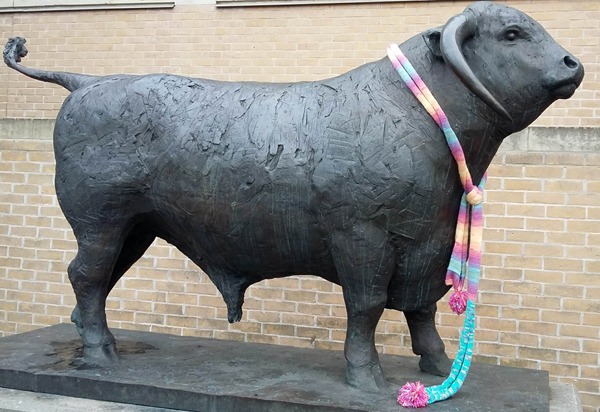 This bit of yarn-bombing made me laugh when I came out of Oxford station on Wednesday, on my way to a client meeting at the university. Most people look forward to Fridays because it’s the end of the working week. That doesn’t always apply when you’re self-employed, but there are some things I like about Friday. The music programmes on BBC Four (but not when the talking heads are only men). The weekly email from Dan Slee, co-founder of comms2point0. Dan’s emails are aimed at public sector communications people. I’m not exactly that, but I do work mostly for non-profits and anyway much of what is covered is of interest for anyone working in digital comms. I don’t open all the emails I’m subscribed to (who does?) but I usually open this one because I know I will be informed and entertained, and I always learn something useful or find out something new. Today I found out about weeknotes: a type of blog post where you report and reflect on your working week. I’ve been looking for a way to keep this blog more regular, so I thought this could be it. Consider this my first weeknote! ‹ Style guides for the 21st century (part 2): A universal style guide?